During the 1890s the excellence of the Edison-Swan United Electric Lamp Company in the manufacture of so-called Fancy lamps had perhaps only one serious rival - that being the small factory of Gabriel & Angenault in France, which produced the masterpiece featured on this page. This little-known company was France's second lampmaker, founded in 1888 by F. Gabriel within a small water mill at Combs-la-Ville which provided the energy needed for manufacturing. The lamp factory also comprised three small glassworks'. Gabriel was joined a year later by M. Angenault to create the company 'Manufacture Française de Lampes à Incandescence F. Gabriel et H. Angenault'. 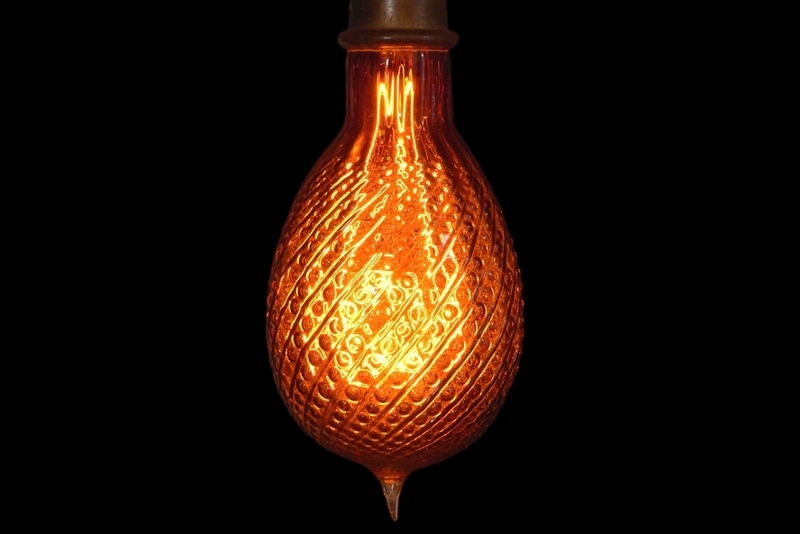 In 1898 a second factory was established in Spain, and the whole company was purchased together with its competitor 'Compagnie Générale des Lampes à Incandescence', by the giant 'Compagnie Générale d'Electricité' (CGE), controlled by GE of America. Filament production was transferred to Générale's lampworks at Ivry-sur-Seine, while the whole group's glass requirements were provided by Combs-la-Ville. 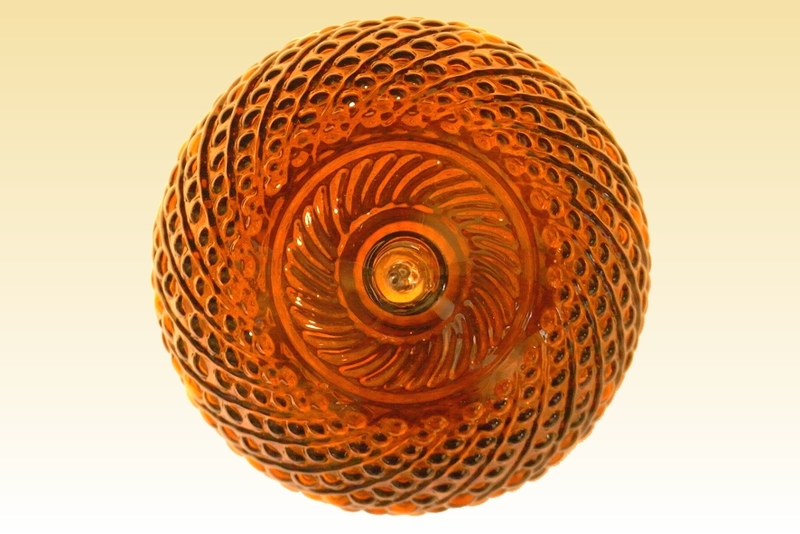 The new parent CGE continued the individual brands of its two lampworks' for many years, with Générale handling larger orders for standard lamps and G&A taking the small volumes for specials. Eventually all production shifted to Ivry and it is not known precisely when the G&A factory closed. 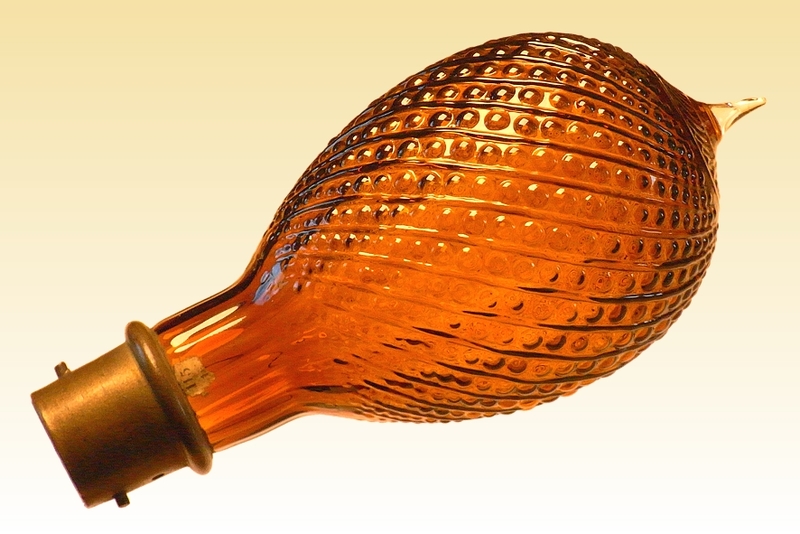 Around the neck of this bulb the glass is moulded "Depose Gabriel et Angenault", indicating the registration of its design. 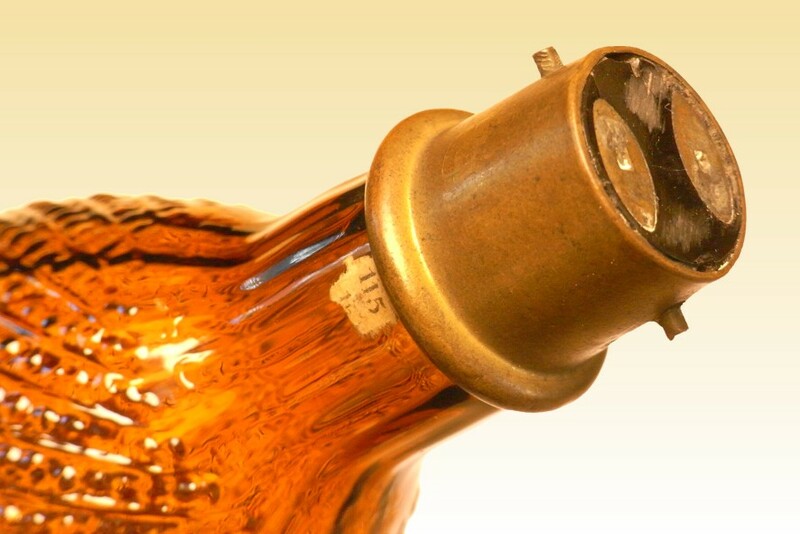 The filament is of squirted carbon and the cap is of deep-drawn brass with an insulator of vitrite glass. This identifies it as having been made after about 1900, when vitrite caps having a full brass collar became widely used. References: 1) de la Compagnie des Lampes à la Compagnie Philips Eclairage, pp.17, published by Philips Lighting France, 1992. 2) Alcatel Alsthom, Histoire de la Compagnie Générale d'Electricité, pp.45, Albert Broder et Félix Torres, Editions Larousse, Paris, 1992. 3) A Guide to Sources of Information on Foreign Investment in Spain 1780-1914, pp.203, Teresa Tortella, Institute of Social History, Amsterdam, 2000.